This Mundee 8-20-2018 episode of Inspirado Projecto Radio, from the Infamous 1630am KCHUNG Underground Studios, welcomes Screenwriter/Playwright/Director Jaimie-lee Wise and Author/Playwright/Director James Scott Byrnside! Captain Nicholas, Master Sound Engineer, expertly pilots our ship through the cosmos and beyond. We play the latest episode of the ONLY podcast to bring you the most up-to-date gossip about all of your favourite dead movie stars “The Celebrity Afterlife Report”, a song by carnival/vaudeville/theatrical group Cirque Noir, new “Fun Facts” by Henry D. Horse, a special song request from the JAWS soundtrack by Jaimie-lee, a unique John Cale song request by James, and a cosmic audioscape of Carl Sagan from Man Behind The Machine. We took turns reading from James Scott Byrnside’s brand new self-published mystery noir, “Goodnight Irene”, featuring Private Eye Detectives from Chicago, trying to solve a crime stranded in the middle of The Great Mississippi Flood!!! This adventure is suspenseful, confounding, brilliant in its callbacks, carefully plotted, seasoned with wit, haunted with jumpscares, packed with unique characters, and plagued with puzzling mind-explosions. “Goodnight Irene” is found HERE on AMAZON, in case you’re curious. 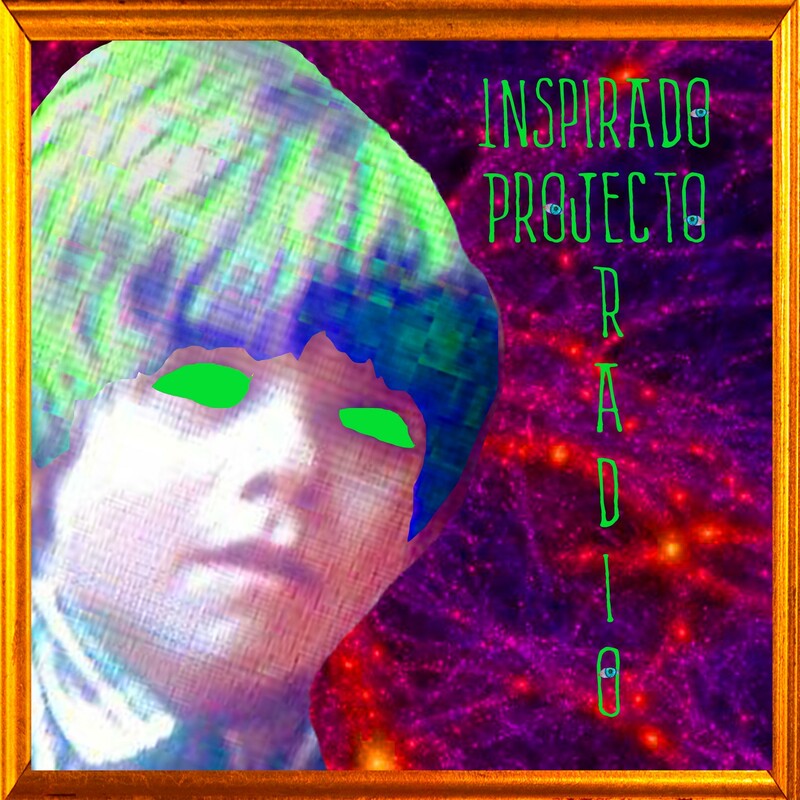 Every episode of Inspirado Projecto on the KCHUNG Radiodial, also streams online through the KCHUNG 1630am website, in addition to playing in a visual formattika, on PERISCOPE – WATCHED HERE. The KCHUNG Radio Audiostream is archived on Mixcloud, which can be HEARD RIGHT HERE!…. After ending our KCHUNG 1630am broadcast, we adventured through Echo Park, Los Feliz and Silverlake, while podcasting at the same time. That’s us up there, “The Lady of The Lake”, and a bunch of birds plotting to take over the world, of course. If you’re curious, you can hear the 1st Part our journey on the Podcast HERE.....and you can hear Part 2 of our journey, on the Podcast HERE! Thank you guys for coming out and thank all of you for listening to the show!